As you step upon the shores of Hawaii, it's not impossible to get overwhelmed with all of the sights, sounds, and smells you'll encounter. And whether you're with family or friends, there's definitely a variety of tourist attractions you can visit while in the Aloha State. Aside from the pristine beaches and five-star hotels, it's good to know that Hawaii has other remarkable destinations for you to enjoy and explore. To help you out, here's a list of some of Hawaii's must-visit destinations. Located in Honolulu, on Oahu Island, the Sea Life Park Hawaii is a popular tourist attraction that is not only entertaining but educational as well. Once you enter the park, you're in for an amazing surprise. You can watch amazing displays like the Dolphin Cove Show or the Hawaiian Ocean Theater. Just a hop, skip, and a jump away from the Sea Life Park Hawaii is world-famous Waikiki Beach, where you can bask in the sun after a fun day at the park. The admission price is definitely worth every cent. The Honolulu Zoo is one of the largest zoos in all of the Hawaiian Islands. The zoo is established on a land that was granted by King Kalakaua to the people of the Kingdom of Hawai'i. This zoo has some beautiful animals, some of which are unique to the Hawaiian Islands. Learn about, interact with, and observe animals such as orangutans, elephants, crocodiles, cheetahs, giraffes, black rhinos, and parrots. Don't be surprised if you bumped into a group of peacocks strutting freely around the zoo. Kids will definitely enjoy what this zoo has to offer. Another animal adventure in Honolulu is the Waikiki Aquarium, which is in close partnership with the University of Hawai'i. As an institution of the University of Hawai'i System, the Waikiki Aquarium is not only a place for entertainment, fun, and adventure, but it is also a leading marine science institution. You may even want to check out the "Critter of the Month", which is a program at Waikiki Aquarium that is aimed at educating people about the many different species at the aquarium. The size of this place offers a more "intimate" encounter with various marine animals, and if you or the kids want to sit down in-between looking at the galleries, it has a spacious lawn for a bit of rest. Out of Honolulu and off the Oahu Island is the Maui Ocean Center, an aquarium located in Maalaea on the island of Maui. As a highly-rated family attraction, Maui Ocean Center has something for every member of the family. You can take tours, joining groups on a trip around the aquarium to see and learn about Hawaiian marine life. You can even make reservations to go on a scuba adventure with Shark Dive Maui. Honeymooners, groups of friends, families, or anyone looking for an adventure will surely be in for a treat at Maui Ocean Center. The gift shop is definitely a treat because it's quite huge and offers a lot of interesting items worth showing off when you get back home. With plenty of establishments to choose from, Whalers Village is the place to be if you prefer a relaxing day of fine dining and shopping. Sitting right along Kaanapali Beachwalk, this is a convenient place to shop for local goods, designer items, and art and craftworks that showcase the rich culture of Hawaii. Looking for a good meal? Whalers Village also offers a lot of restaurants that'll satisfy and excite your taste buds. This place is known for its laidback atmosphere, and you can even stroll around while just wearing casual attire and a good old pair of flip-flops. Before the day ends, don't forget to drop by the Whalers Village museum and take a glimpse at the rich history of the whaling industry that existed during the 1800s. It usually takes 20 minutes for you to go over the exhibits but the information you'll learn is quite impressive. Plus, the homey environment of the museum makes it a wonderful treat and not a boring place at all. To fully appreciate Hawaii, you need to go back to its roots and learn more about the native people's Polynesian origins. The Polynesian Cultural Center (PCC) is one of the best places in Hawaii to learn more about the locals, their ways of life, their history, and their culture in general. Located in northern Oahu, the PCC is established on a 42-acre plot of land that is owned by Brigham Young University Hawaii. When you go to PCC, remember to catch the "Horizons: Where the Sea Meets the Sky" performance, which is a cultural Polynesian show that demonstrates their language, songs, and dances. Some of the other activities you can participate in at the Polynesian Cultural Center includes going to IMAX theaters, canoe rides along the lagoon, watching the "Rainbows of Paradise" canoe parade, hourly performances, seeing recreated traditional villages, and joining authentic luau feasts. Make sure to set aside a day or two when visiting the center because there are plenty of attractions to enjoy. You also have the option to join a guided tour for a more unique experience. As the only state in the United States that was once ruled by kings and queens, Hawaii is home to the country's only official residence of royalty: 'Iolani Palace. This was built by King Kalakaua in 1882, at a time when Hawaii was still known as the Kingdom of Hawai'i. When the monarchy was overthrown in a series of rebellions that took place in the late 1800s and early 1900s, the palace became a shabby reminder of what was once a tropical realm ruled by chiefs, kings, and those with royal blood. In the 1970s, however, restoration efforts began and so today, 'Iolani Palace serves as an enduring landmark of Hawaii's royal past. Joining a guided tour is highly recommended to make the most out of your visit. Make sure to follow the rules when entering the place such as wearing special booties when inside the palace. This is to ensure that the palace is well-preserved and kept. Don't be disappointed if your guide prohibits you from taking pictures; the gift shop offers plenty of items with lots of photos such as postcards and travel books. What could be a better place to make your Hawaiian vacation truly memorable than to pay a visit to the volcanoes that helped form the Hawaiian Islands? Hawaii Volcanoes National Park is a breathtaking site that is located on Hawaii's Big Island, and is home to two of the three active volcanoes in Hawaii, including Mauna Loa, which is one of the most massive earth formations. When you visit this national park, schedule a tour so you can experience everything that Hawaii Volcanoes National Park has to offer. Seeing the lava gush out of the earth is definitely an experience that'll set you back millions of years ago when everything was still young and uninhabited. Just remember to show some respect when stepping on the grounds of the park; the locals believe that volcanoes are the home of Pele, the highly revered fire goddess. It's also important that you are physically ready before you trek along the park as you will be exposed to uneven terrain and poisonous vapors and gases. 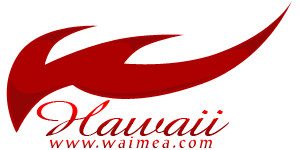 There are a good number of guided tours that you can take in and around Hawaii to learn about the islands and all that they have to offer. For the more adventurous types, you can go on your own outdoor adventure with a group of friends or a group of locals. There are some lengthy hiking trails on some of the islands that will give you some of the most beautiful views of the landscape, waters, and skies of Hawaii. You can also visit one of the many national parks scattered throughout the Hawaiian Islands. If you do decide to plan your own outdoor adventure, just be sure to observe the necessary precautions. Whether you want to have a relaxing or adventurous vacation, make sure to get the most that Hawaii has to offer. With beaches, theme parks, national parks, historical landmarks, fine dining and shopping establishments, and wildlife galore, you have lots of options to fill up your vacation schedule. Aside from the tourist attractions mentioned here, you can also find numerous museums, spas, camping sites, surfing spots, golf courses, and ocean adventures in Hawaii. You may want to make early reservations for your activities or tours; after all, Hawaii does expect millions of visitors year after year.